While New Years Eve often gets most of the attention, its New Years Day that excites me. What's going to be my first meal of 2013?? 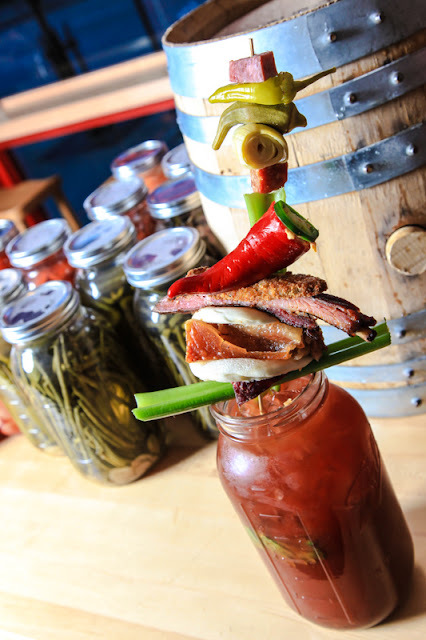 Eater Chicago rated this hot spot for brunch & to get your drink on New Years Day!! "Made with White Dragon Moonshine, Fris Vodka, Guinness and scratch Bloody Mary Mix and garnished with beef jerky, pork belly steam bun, spare rib, fried pickle, pimento-stuffed Fresno chili, salami, pepperoni, artichoke heart, pepperoncini and okra, this colossal cocktail is available on Tuesday, January 1 from 10:30 a.m. to 3 p.m."
We will see where the day takes me from there....I hope to see you at Dragon Ranch. Make sure to make a reservation!! Rockit and Dragon Ranch have a great Bloody! Haha that's actually very interesting! What will be your first meal of the new year...love it! Happy New Year! Hope your holiday was perfect! Happy New year! We need to go to Flight soon! Can't wait to meet you! (Ksenia Ivanova for The Washington Post)Motivations for support The stories of geek shirts three young people in Kurgan a city of about 300,000 on the Trans Siberian Railway near the Kazakh border help explain why. All three are voting for Putin out of a mix of hope, resignation and fear.Their reasoning begins with a visceral sense of a darker, poorer past. In the 1990s before Putin dinosaur shirt came to power lawlessness in Kurgan was such that innocent locals could get killed simply for sitting in the wrong one piece shirt seat on a bus or in a movie theater, Mamay recalls her grandmother telling her when she was little.Later, her father a firefighter told her grandfather, "I live better than you, and I hope that my children will live better than me." Mamay says she now has the same hope for her own future in Putin's Russia. "These will probably be small, small improvements," Mamay said.